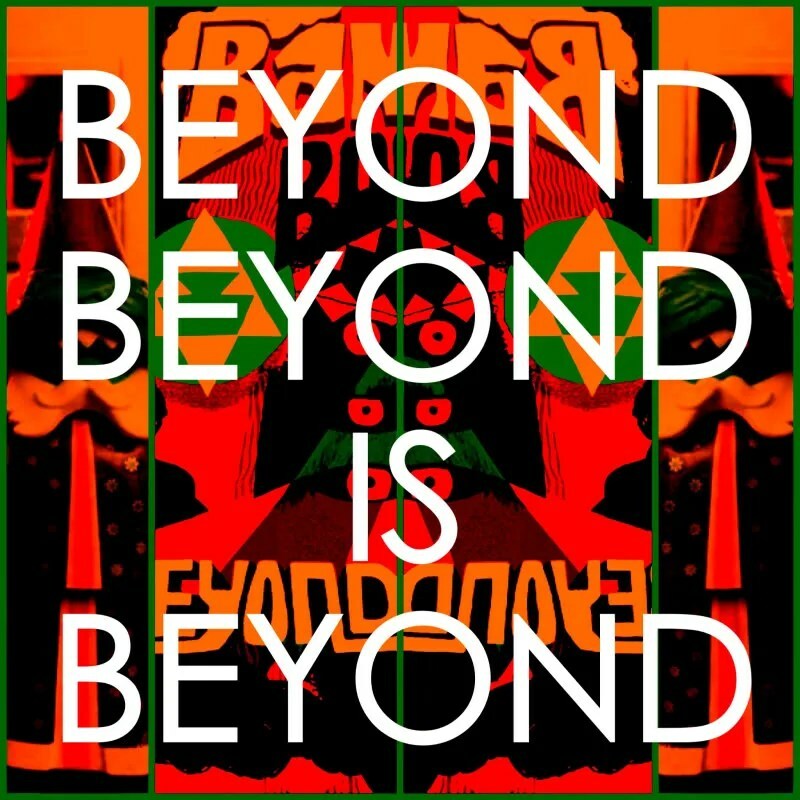 BEYOND BEYOND IS … BOOGALOO! It’s titular inspiration comes from the radio show hosted by the compilation’s supposed curator – a radio show that for the past three years has promised “cage-free rock & roll: the primordial pulse and rhythm of rock music without all those unsightly boundaries,” and then goes beyond the promise by actually delivering on the promise, in addition to having frequent in-studio guests like Apes-favs White Hills and The Entrance Band and … Jon Anderson?!?! Yes! And while the supposed curator of the “Beyond Beyond Is Beyond” compilation will doubtlessly receive the fame and fortune that comes automatically from releasing a free, digital, twenty song, 111-minute, 22-second long compilation filled with incredible bands currently operating in the cage-free, psychedelic splendor of these United States … we’d like to suggest the influence of someone or something a bit more magickal upon the proceedings. How else to explain the inclusion of no less than six bands previously praised on these pathetic web-pages? 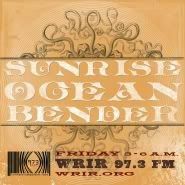 Herbcraft, Mondo Drag, Main Street Gospel, Hopewell, Jeffertitti’s Nile and the Brooklyn Raga Association – there all here. How?!? How else to explain the remaining fourteen slots filled with bands and artists from nearly every strata of high-weirdness possible from this purple-mountain majesty – from Jesse Sykes and The Sweet Hereafter to The Paperhead to Woodsman? How?!? And – perhaps most important – how else to explain the fact that this free (did we mention free? 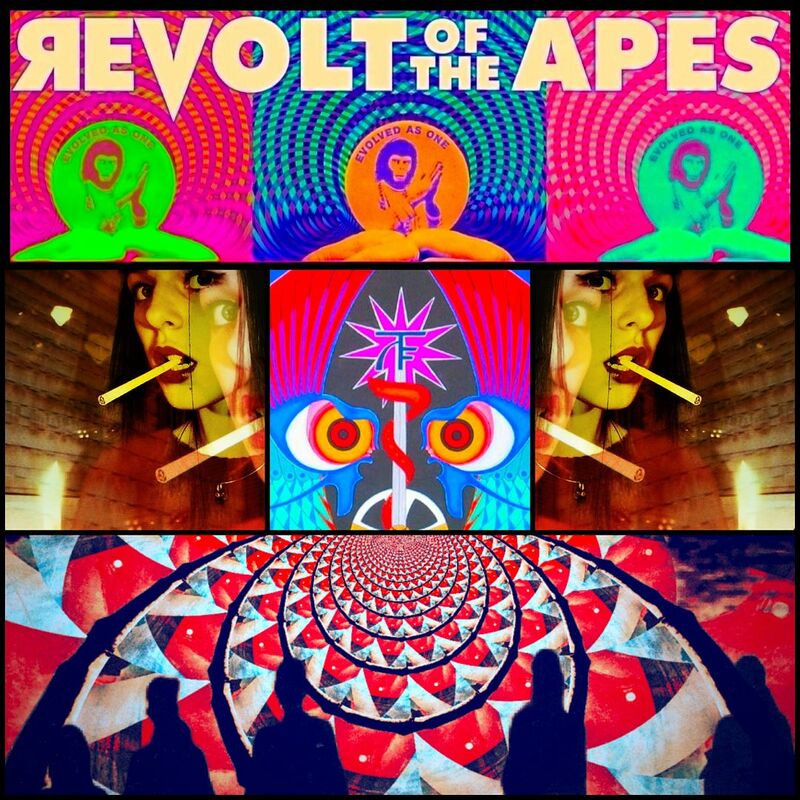 ), hand-crafted digital compilation will be released on January 24, 2012 … yet revolting apes like us can download the entire boogaloo right now?!? How?!?! How?!?! Fer’thesakeofSteveHowe … HOW?!?! There can be only one answer – wizardry. 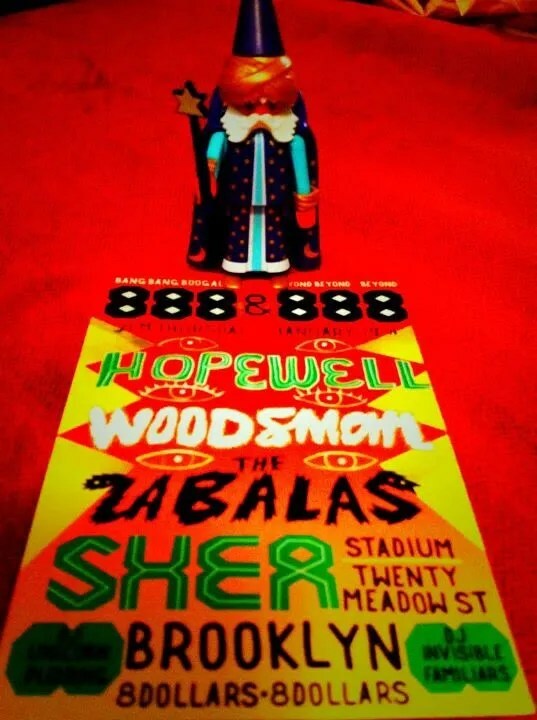 See The Wizard in person – if you’re in or around Brooklyn on January 19, check out the Bang Bang Boogaloo “Beyond Beyond Is Beyond” compilation release party, featuring Woodsman, Hopewell and The Zabalas.